Construct an 8.5 by 11 inch piece of computer paper in landscape orientation by plotting points and connecting with segments. Add an additional point inside of the paper to act as your center of dilation. 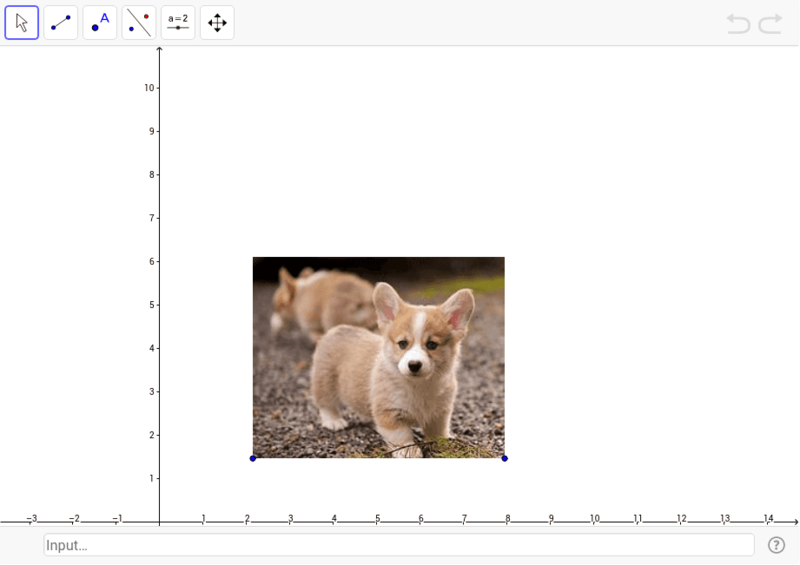 Then dilate the corgi picture by a factor of 2. Where is the center of dilation for a standard copy machine? Where should we place the original corgi picture in order for the magnified picture to fit on the piece of copy paper?